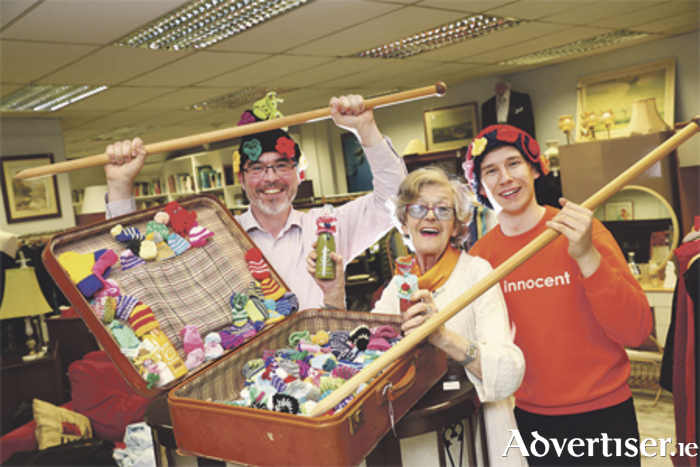 Age Action and innocent drinks need help from Westmeath’s knitters to have a chance of hitting their target of 100,000 little hats as part of this year’s Big Knit initiative. The Big Knit is Age Action’s biggest single annual fundraiser. For every hat knitted, innocent drinks generously donate 30 cent to support Age Action’s Care & Repair Programme, which receives no State funding, and provides support to people across Westmeath through our community partners in Mullingar, Athlone, and Moate. Tens of thousands of little hats have already been knitted and posted, and will soon be adorning the tops of innocent smoothie bottles in the months to come. Every single hat makes a difference because every hat means a donation to Age Action so that the organisation can keep helping older people who are living alone. Caroline O’Connell, head of fundraising with Age Action, said: “The response from knitters across Westmeath has been fantastic. You can hear the needles clicking everywhere your go. We’re already on course to break our record but our target this year is really ambitious and we really need to get a hundred thousand little woolly hats in by the end of July. “Last year our volunteers carried out more than 32,000 DIY jobs, home visits, and telephone contacts for older people all over Ireland. “For many of our clients this might be their only contact with someone all week. It could be the difference between being safe, warm, and cosy and being nervous, cold, and uncomfortable. But we can’t keep the service going without your help so whether you’re a beginner or an expert, we need you to grab your needles, round up some wool and get knitting. Hats can be sent to The Big Knit 2017, Innocent drinks, Fruit Towers, 2 Ballsbridge Park, Dublin 4, or can be dropped into any of Age Action’s shops or offices. Page generated in 0.1074 seconds.